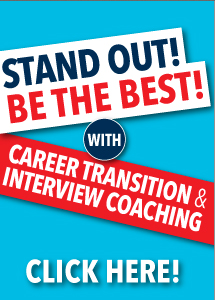 Career Coaching – Guide you on career path options and the variety of routes open to you that best suit your core skills and interests. Every person is different and so is our approach on how best to assist you achieve your goals. Our aim is so guide you through the process at your pace and bridge any skill gaps required. Our goal is to work hand in hand with you to help you recognise your talent, discover and address any development needs, achieve your goals and fulfil your potential. Our highly qualified team offer complete confidentiality at all times. We have a proven track record in excess of 15 years of significantly improving our clients career prospects and success rates in securing interviews and landing their dream jobs. Simply click “add to cart” on the top of the page the services you require and make payment. You can also use the following email address for payment gillian@kala.ie. Contact Gillian Knight on 087 793 16 55 for more details. Maybe you are at a crossroads in your career, looking for a career change or are unsure what you would like to do next. Using simple personality assessment and through 1:1 coaching, we can help unlock the answers for you and map a career path that’s perfect for you. This may be the first time you have ever been a jobseeker, or you have not been in search of a new job for many years. The world of job searching has changed dramatically in the past 5+ years. We will teach you the various routes available to you to ensure you do not overlook job advertisements or opportunities. Also suitable for clients looking to advance their career and seek advise on internal or external promotion opportunities. Simply click “add to cart” on the top of the page the services you require and make payment. Following this, email info@kala.ie to arrange a suitable time for your session. You can also pre-set suitable times using the Contact us online tool. Gillian helped me improve my CV and interview skills for a job interview I had coming up, Gillian gave me some great tips and insights, the results speak for themselves, I got the job. Highly recommend for anyone looking to gain an edge in the jobs market. Gillian’s career advice and guidance has been invaluable to me. She helped me refine my message and clarify what I wanted to achieve in my career. In addition, she’s easy to do business with – and a nice person! If you’re thinking of a career coach, I would highly recommend Gillian. Gillian is an excellent career coach with the ability to cut to the heart of what I want from my career and helped me put in place a solid plan to achieving it. I felt incredibley energised after our coaching sessions. Since meeting Gillian, I am achieving my personal & career goals and feel in full control. Gillian is a results driven careers coach who provides a very valuable, focused and highly effective service to those seeking to move on, or move up, in their career. I would recommend Gillian without hesitation, having benefited greatly from advice given during career coaching sessions. I was very impressed with the service I received from Gillian and Kala Management Solutions. Gillian provided career coaching that was second to none and did it with a no nonsense, down-to-earth approach. She is highly skilled and knowledgeable in her area and an absolute pleasure to work with. Gillian is an excellent career coach. She is creative, professional and refreshingly honest. She remains focused at all times and is very approachable. I would highly recommend her services. Gillian was highly recommended to me and I would have no hesitation in recommending her to anyone else. She quickly understood where I was coming from and what I was looking for. I found her to be very positive with a number of practical and very helpful suggestions. I look forward to working with Gillian again in the future. Gillian provides a first class coaching and HR service. Gillian uses her extensive experience to provide a tailored approach, just what is needed. I have no hesitation in recommending Gillian to other prospective customers. Wishing Gillian and her team continued success. Gillian is an excellent career coach and HR professional. I have had several sessions with her and found them to be invaluable to my job search. Gillian listens to the clients requirements and what their career ambitions are. She then provides a tailored service to help them achieve their goals and get the job. I would highly recommend Gillian’s services for interview preparation.